Join the Brewers Association of Maryland at Love Thy Beer, the signature event of FeBREWary: Maryland Craft Beer Lover’s Month. 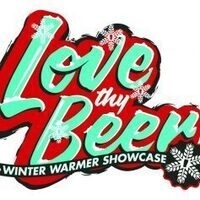 Love Thy Beer is a must-attend event for the ultimate craft beer enthusiast, featuring exclusive beer releases you won’t find at your local craft beer store. In the true spirit of FeBREWary, attendees will get the opportunity to chat with the experts behind Maryland beer in an intimate setting over seasonal ales. Think: stouts, porters, winter seasonal, sours & anything out of the barrel! The event will also feature a selection of specialty beers, brewed specifically for the month of FeBREWary, available to all attendees. Brewers are being challenged to come up with their own individual “Cupid’s Curse” brew for YOU to taste and vote for as your favorite! Think: small batch & limited edition. Cupid’s Curse VIP, $65 : Includes 1 hour early entry (6:00pm), 4 hour tasting session, early access to full beer selection of specialty beers & signature BAM glass. Tickets for the Cupid’s Curse VIP Session are limited! Main Event, $50 : Includes 7:00pm entry, 3 hour tasting session & signature BAM glass.